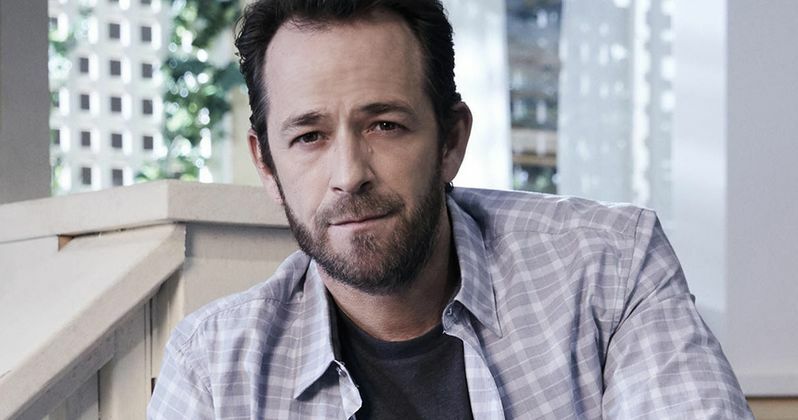 Luke Perry has sadly passed away at the age of 52. The news took everyone by surprise, as Perry was much beloved by family, friends and fans around the world. Even if you never watched Beverly Hills, 90210 or Riverdale, there was something inherently likable about the actor. And after the news of his death was announced, many from the entertainment world paid their respects. Luke Perry initially found success playing Dylan McKay on the Fox teen drama Beverly Hills, 90210. The show ran for 10 seasons, and Perry was featured in 200 of those episodes. He was still quite popular on the small screen at the time of his passing, playing Archie's father Fred Andrews in The CW's hit Riverdale. He had less of an impact on the big screen, but still turned in memorable performances in the Buffy the Vampire Slayer movie, the rodeo drama 8 Seconds, and his last on screen role will be in Quentin Tarantino's Once Upon a Time in Hollywood, which will hit theaters this summer. Luke Perry's acting career spanned decades, and there were never any lurid behind-the-scenes stories. His co-stars truly loved working with the man, and he means so much to several different generations of TV viewers. The actor passed after suffering a massive stroke. He was hospitalized and went into a medical induced coma. He never recovered. 90201 co-star Ian Ziering had this to say. Gabrielle Carteris, who also starred on the hit series in the 90s with Perry, offered a statement to CNN, saying, "I am absolutely heartbroken. Luke was a tremendous force in the lives of so many. He was a very sensitive soul who was kind, generous and he fought for the underdog. He was a strong voice and an advocate who will be so missed by all who knew him. He has left his mark -- never to be forgotten. My heart goes out to his family, friends and fans around the globe." Leonardo DiCaprio, who just worked with Perry on the set of Once Upon a Time in Hollywood, had this to say about his co-stars untimely passing. "Luke Perry was a kindhearted and incredibly talented artist. It was an honor to be able to work with him. My thoughts and prayers go out to him and his loved ones." Joss Whedon, who brought Perry to the big screen for his first major starring role in Buffy the Vampire Slayer, before the hit franchise became a cult classic TV series, had this to say about his leading man. Production on Riverdale was temporarily halted in wake of Luke Perry's death, as the creative team figure out how to handle the situation. This past week, a 90210 revival was announced with the original cast. Perry was not set to return because of his CW work schedule, but it was expected that he'd be making at least one cameo appearance. You can check out a number of other tributes from Perry's friends and family in Hollywood. RIP.